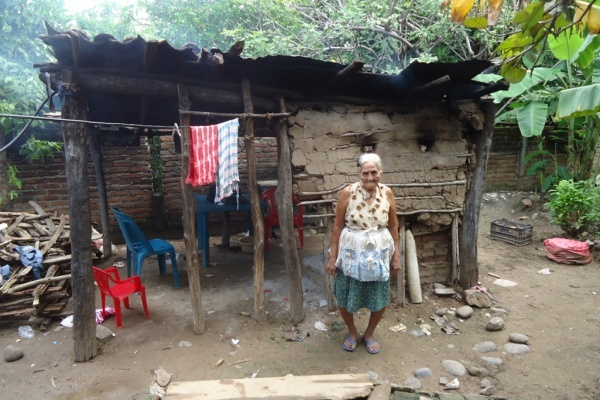 Thanks to your support of HOPE Coffee’s Build a Home for Christmas 2013 initiative last fall, the construction of a new house for Guillermina has been funded from those profits. Local church members labored on the weekends to finish the project before the rainy season began. Neighbors watched in bewilderment as they wondered how an elderly woman with no contacts or resources could receive such a marvelous gift. Praise God for his provision and for the willing workers who toiled to build the house!